You may have heard about hot air brushes before but let’s face it - with many beauty gadgets out there, it’s quite difficult to catch up with all of them. And if this is your first time hearing about them, I won’t be surprised. Allow me to introduce to you the wonderful world of hot air brushes. What Is A Hot Air Brush? What Are The Limitations Of A Hot Air Brush? 1. What Is Your Hair Type? 2. What Type Of Look Are You Aiming For? 4. What Does Your Ideal Hot Air Brush Look Like? Do You Have A Hot Air Brush Story? To put it simply, a hot air brush works like a blow dryer, except that it looks a lot like a brush. But they are not to be confused as any regular old blow dryer. They are capable of setting hair into different kinds of styles - without having to use any other styling tools. Hot air brushes can achieve soft curls or waves and gives the hair a lot of volume. Warm air exits through a vented barrel, almost similar to a blow dryer. With the teeth of the brush, you are then able to grab hair and style it according to how you like. Although it works similarly to a blow dryer, hot air brushes are totally different. One important note you should remember is that they are not to be used on dripping wet hair. They are not supposed to be used for drying hair - unless you want to potentially damage your hair strands. Think of it as something like a curling iron. Unlike the curling iron, you may still use a hot air brush when your hair is a little bit damp (perhaps 80% dry). But just like a curling iron, hot air brushes do come in a variety of interesting features and barrel sizes. Are you interested in buying a hot air brush of your own? Or perhaps you have had one before but it just didn’t work out as you hoped? Above styling, taking care of your hair is of utmost priority. Before buying any gadget to use on your hair, get familiar with your hair type. This is especially important if you have dry or color-treated hair. This is because some hair types do not handle styling with heat very well. This is not to say that you are excluded from the list of people who can enjoy using hot air brushes. There are still plenty of options out there. You would just need to narrow down your list to hot air brushes that are best for your hair type. 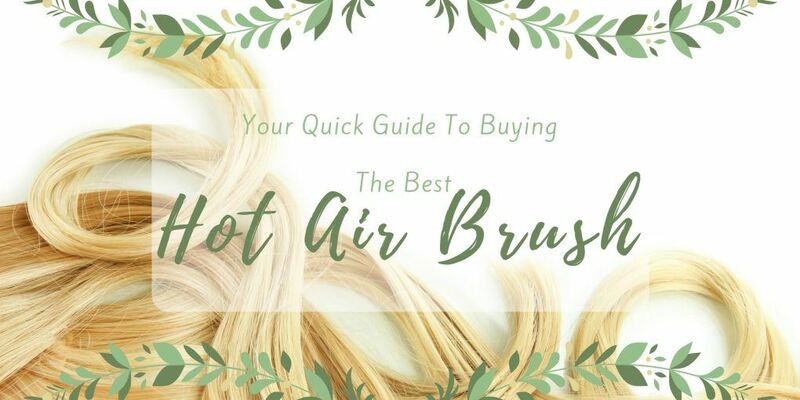 Since hot air brushes also come in a variety of barrel sizes, you must also know the type of hairstyle you are aiming to achieve with a hot air brush. Opt for smaller barrels if you like smaller and tighter curls, and bigger ones for big, soft waves. The best thing about hot air brushes is the fact that they are versatile to many different styles. Curling irons are harder to manipulate for people who are not used to curling their own hair. And compared to other hair gadgets, hot air brushes are a standalone product. Understand what technology you are willing to pay, and which ones you can live without. Hot air brushes also come in a wide price range. Cheaper ones tend to only have the most basic features, while brushes on the higher end tend to have a lot of add-on technology. But don’t be disheartened. Just because your budget only fits a simple hot air brush, that does not mean that you cannot achieve a lot with it. Think of it as investing your money only on what is necessary. Though expensive brushes sound good, you may not need its add-ons after all. Are you the type of person who does not like to carry heavy things? Perhaps your ideal hot air brush would be one that is lightweight and easy to carry around. Setting some boundaries can help you narrow down your search for the perfect hot air brush. With the amount of hot air brushes out in the market, it’s easy to get lost in what truly matters to you. Don’t be afraid to set some standards. As long as you have reasonable requests, the perfect hot air brush is out there. In fact, maybe it’s on the list of best hot air brushes below? Still feeling a little bit overwhelmed? I understand how you feel. I love my hair and I’m always very cautious about the products I use for it. This is why I have decided to do some research to deliver you some of the best hot air brushes out in the market today. The John Frieda Hot Air Brush is known for its advanced ionic technology. In fact, it is said to produce up to 50% more ions than any other hot air brush. These ions help in creating shiny and smooth hair, making it look healthier and more manageable - say goodbye to frizz! 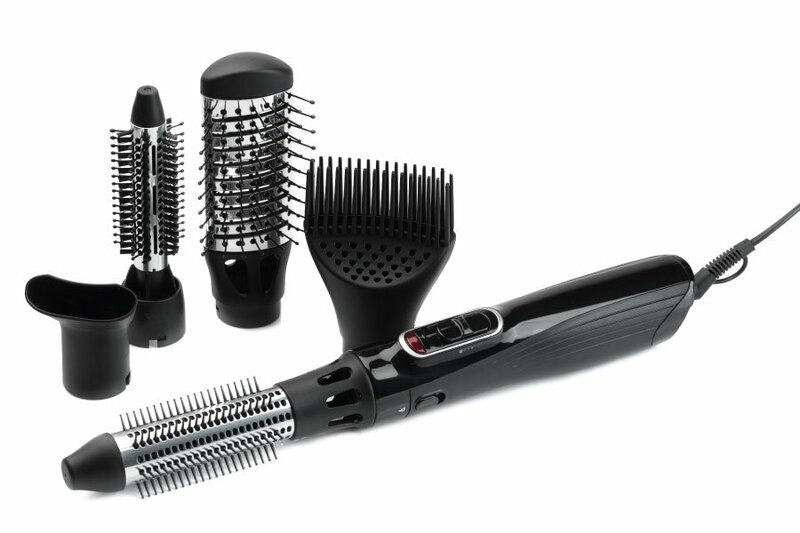 The body features a salon grade ergonomic design and is actually very lightweight, making hair styling a breeze. It also comes in 2 heat settings, as well as a cooling option. This hot air brush works great with all types of hair and hair length. 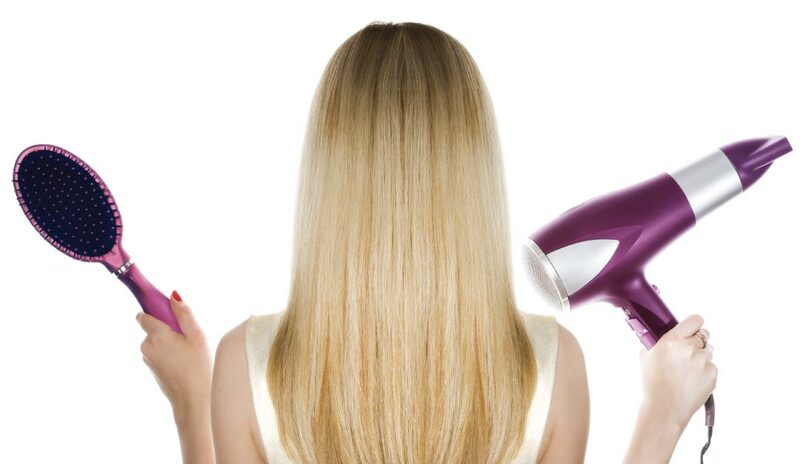 The AsaVea Portable Electric Hair Straightening Brush claims to be the easiest hot air brush one could ever use. 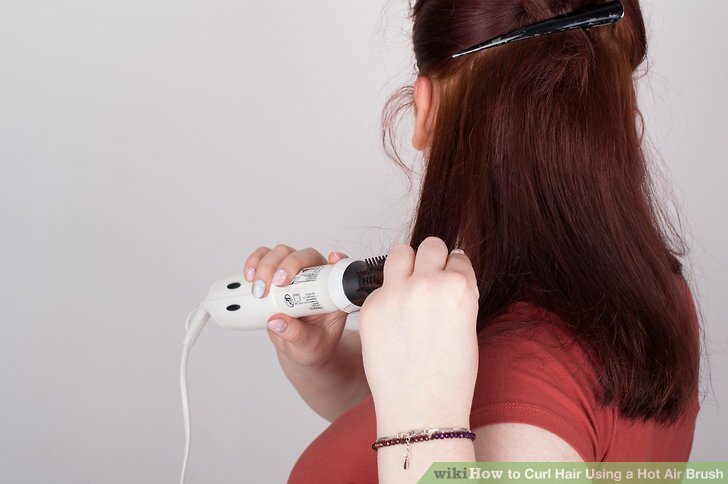 According to the company, straightening hair could become as easy as combing through hair - and there’s good reason to believe in their claims. 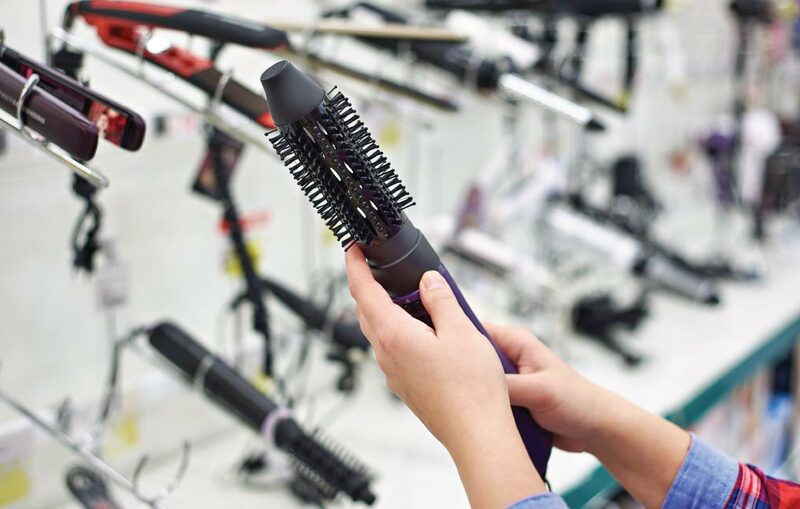 This hot air straightening brush may be smaller and slimmer than other contenders on this list. But it is one of the most powerful hot air dryers. With a wide reach and great heating capabilities, setting style onto your hair is a lot easier and faster than normal. It also comes with an Anti-Scald Technology which promises to protect you from getting your skin burned. This is a great plus, especially for users who are a little bit clumsy like me. Overall, the AsaVea is worth a shot for anyone who is looking for something simple but effective. The FemJolie Hair Straightener has a lot of features to offer. First, it features a silicon heat-proof brush tips that aren’t just great to protect your scalp from the heat, but they are also said to be for a good scalp massage. Who wouldn’t want to have a massage while styling their hair? Just like the John Frieda, the FemJolie also has its own ionic technology. Such technology is again, what contributes to the soft and shiny finish after using the gadget. 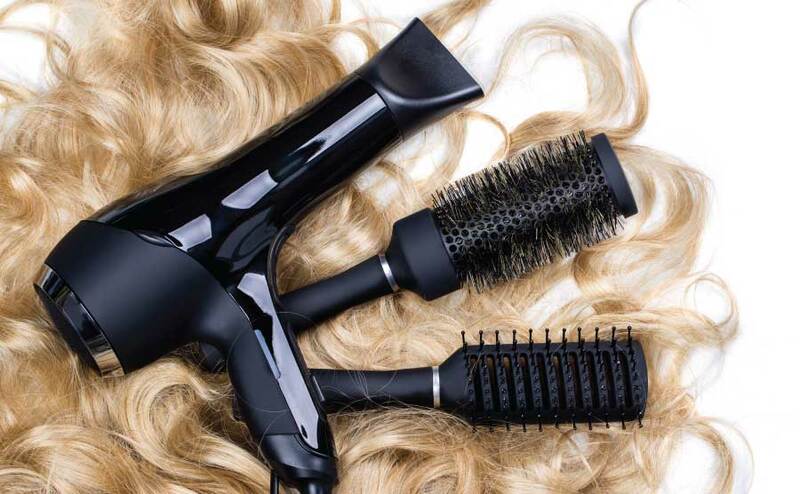 What’s special about the FemJolie though is its anti-static and anti-frizz styling capabilities. Styling with heat can often lead to frizz and static without the proper technique. But with the FemJolie, even beginners can enjoy easy usage without having to worry about getting frizzy or dried out hair. This works best for anyone who is just starting to use a hot air brush. The Vidal Sasson is perhaps the most basic out of all the other hot air brushes on this list. It comes in a simple and basic design and it achieves its purpose in styling hair with no fail. Interested people with a budget would be happy to find that this little wonder is very affordable. This hot air brush styles hair faster than the average hot air brushes. With other features out of the way, the Vidal Sasson is very straightforward in getting the results you need. This product is best for anyone who does not have the luxury of time to style their hair regularly. If you’re out to explore what kind of styles are possible with a hot air brush, the Helen of Troy 1579 Tangle Free Hot Air Brush should be your go-to item. Considering that this product is the weakest link among the others on this list, this product is not meant for the long-term. What’s great about the Helen of Troy Hot Air Brush is that it is very affordable and that it comes with a tangle free technology. If this is your first time styling hair, it is very easy to get it messed up. And you would need a pain-free brush like the Helen of Troy to untangle it for you. Because the heat and air power is also a lot weaker than others, this gives you a lot of room to redo your hair and experiment a little bit more. The effects are not as long-lasting as the others as well, in case you decide that it is not the look for you. Hot air brushes have a lot of potential in styling hair. If you’re looking for a fun way to enhance your style, picking up a hot air brush may just do the trick. Have you ever used a hot air brush before? If you have, let us know all about it in the comments down below. I’d also love to know if you have a favorite brand of hair gadgets? Let me know all about it! If you found this article very useful, please share it with a friend who might need it.